What is the best cluster fly treatment? The comprehensive strategy for the eradication of cluster flies falls into two parts, reactive and pre-emptive. To start you will want to identify congregation points and potential points of entry, following which you will need to remove the surface level population using reactive pest control. Using the collated data collected prior to fumigation you can apply your pre-emptive measures intelligently to congregation points, harbourages and potential entry points. 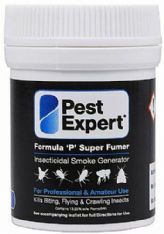 Firstly fumigate the room of loft with Pest Expert Formula ‘P’ Foggers or Pest Expert Formula ‘P’ Smoke Bombs. This will offer a rapid knockdown of all the cluster flies present at the time of treatment. Essentially ‘cleaning the slate’ through killing the surface level population. 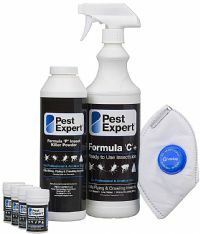 Secondly you should apply a residual insecticide such as Pest Expert Formula ‘C’ Cluster Fly Killer Spray or Pest Expert Formula ‘P’ Cluster Fly Killer Powder to harbourages, resting sites such as roof timbers and walls, and any potential points of entry including window frames and ledges. On an inert surface these products will help maintain long term cluster fly control. Both products act as a contact insecticide, as any cluster flies which come into contact with either the spray or powder will then die, with both products having residual value lasting for up to 3 months after initial application. Due to the size of cluster flies, on average between 10-15mm, they can enter a building through the smallest of gaps, making preventing access virtually impossible. These entry points can be through window frames, cracks and gaps in brick work, under eaves and through tiles. 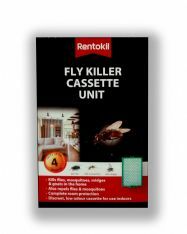 As such cluster fly control is a case of having to flush out cluster fly infestations as and when they appear, unfortunately re-infestation can occur several times over the course of the autumn months. However, though intelligent use of both reactive fumigation and importantly the pre-emptive residual insecticides you can ensure that populations levels remain suppressed and do not build to large or unmanageable levels. It is often advised to re-treat in the spring, as and cluster flies who have remained dormant over the winter months will become active again as the temperatures shift with the advent of warmer weather. In terms of both value for money and effective and rapid results, our Cluster Fly Treatment Packs are the best solutions to cluster fly problems. 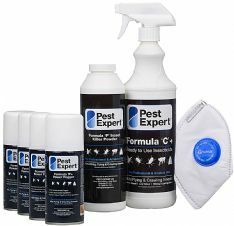 Each pack contains a carefully selected bundle of our best cluster fly products and has been designed by our pest control experts who have extensive in the field experience of dealing with cluster fly infestations in both homes and businesses. Our kits are designed around the principle of combined actives, multiple insecticides used within a restricted time frame to maximise population suppression and facilitate rapid and prolonged knockdown. 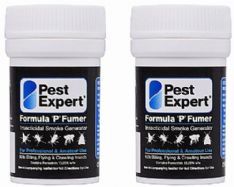 As well as fumigation from the Pest Expert Formula ‘P’ Foggers and Fumers our kits also contain highly effective residual insecticides in the form of Pest Expert Formula 'C' Cluster Fly Spray and Pest Expert Formula ‘P’ Cluster Fly Powder. A further added benefit of our treatment kits are the comprehensive instructions provided on how to carry out a simple and highly effective cluster fly treatment using each of the products.